The Sabre Design Team has released new renderings of the jaw-dropping salon in the new Sabre 58 Salon Express! Check out the images below, and be sure to sign up for the Sabre 58 Email List to receive early access to all our design and production updates. 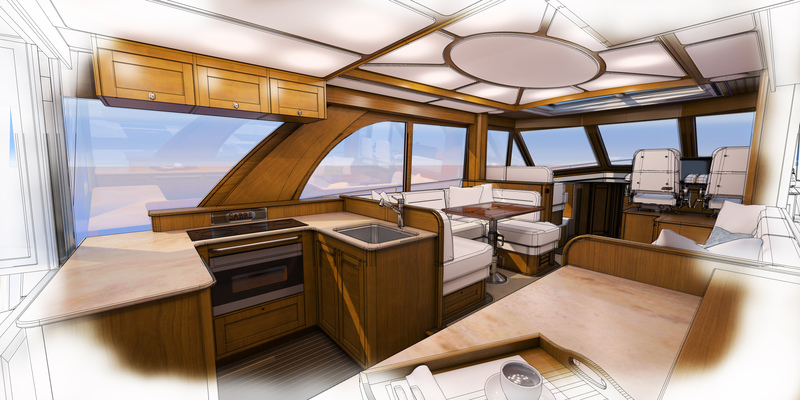 The galley layout in the 58 Salon Express blends the indoor and outdoor seating areas. 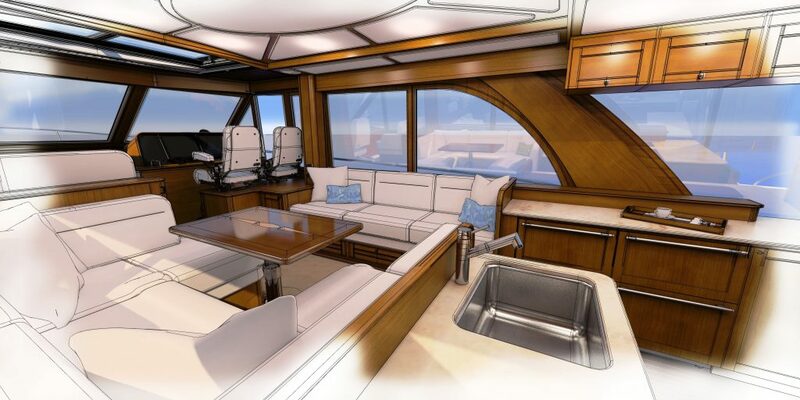 This entry was posted in Sabre Yachts Blog. Bookmark the permalink.